A free modern port of the original. See OS X Port for details. On April 9, 2013 a modern OS X port of the original game was released on the Mac App Store for free. 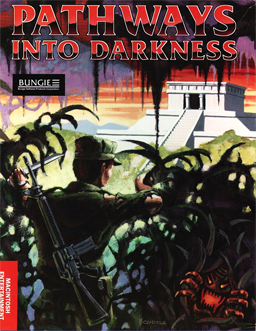 It is faithful recreation of the original for modern systems (right down to the separate inventory windows) that includes the original manual and a link to http://pid.bungie.org/. Beyond that, it is exactly the same as the original. A save game file reader, it can tell the user valuable information such current location, single-use triggers encountered, and various other interesting data. It can read save files from both the full game and its demos. It can be found at http://pid.whpress.com/psi. Is windowed by default. However, the windows can be adjusted. This page was last edited on 23 April 2019, at 00:27.